PROJECT: Name a suite of consumer banking services. ZEO: An invented name, playing off “neo” and “Zeno,” the Greek philosopher famed for his paradoxes. BRAND POSITIONING: TCF, a national bank holding company with 342 branches in seven states, hired us to name a new suite of consumer banking services. The suite is designed to make managing your money faster and easier, and includes a prepaid debit card, check cashing, a savings account, money transfers, bill payments, and money orders. This suite of products is designed to fit into the customer’s rhythm of life, as they will be able to satisfy their financial needs with just one convenient resource, when and where they need it. Definitely not the same old tired and restrictive financial services offering. The positioning for this disruptive brand was all about freedom, convenience, control, simplicity, and ease of use, and the name itself had to be cool, hip, and techy, yet casual and approachable. That’s were Zinzin came it. Our name for this financial product, ZEO, evokes a new (“neo”), empowering, and aspirational approach to personal finance. ZEO is very short and sweet, with a smooth, fun, energetic, and friendly vibe. It is also verbable: ZEO it. ZEO me some cash. I just ZEO’d my bills. 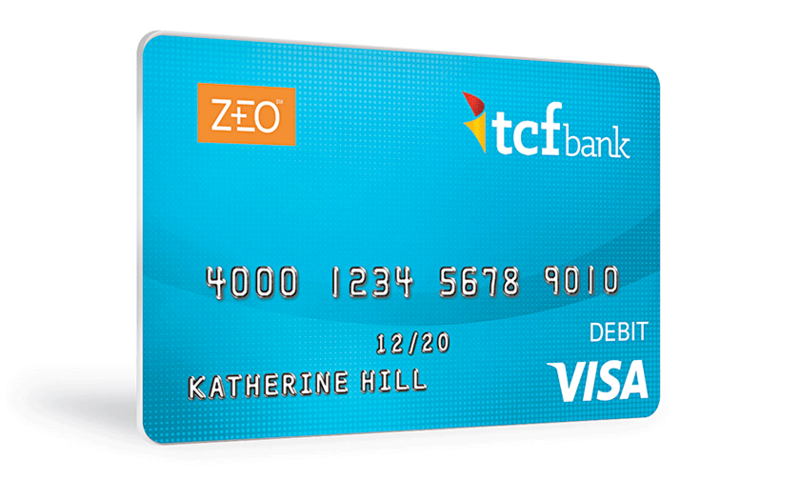 Above all, ZEO is warm, approachable, and supportive, like the ideal financial advisor: Me and my ZEO. ZEO is always with me. ZEO’s got my back. Looking for all basic banking services in one place at a time that’s convenient for your busy life? Get ZEO. Several of our fantastic clients have been interviewed by the researchers at Clutch for reviews about their experience working with us, including TCF Bank. Read the full review, and those from other clients, on our References/Testimonials page.